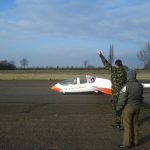 On Sunday 13 January 3 cadets had the opportunity to go gliding at 614 Volunteer Gliding Squadron at Wathersfield Airfield. Flying the Grob Viking the cadets were instructed by the staff at the unit in the baiscs of airmanship and controlling the aircraft in flight. Inspite of the cold weather the cadet all flew several sorties and took control of the glider in flight. Cdts Markov, Raj and Cracknell all qualified for for their Gliding Induction Certificates and can now go onto Gliding Scholarships once 16. 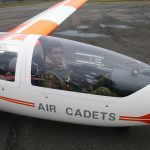 Over the last two months two signifigant aviation milestones have been achieved by cadets and staff of the Squadron, as well as two Air Experience Flying slots at RAF Benson. 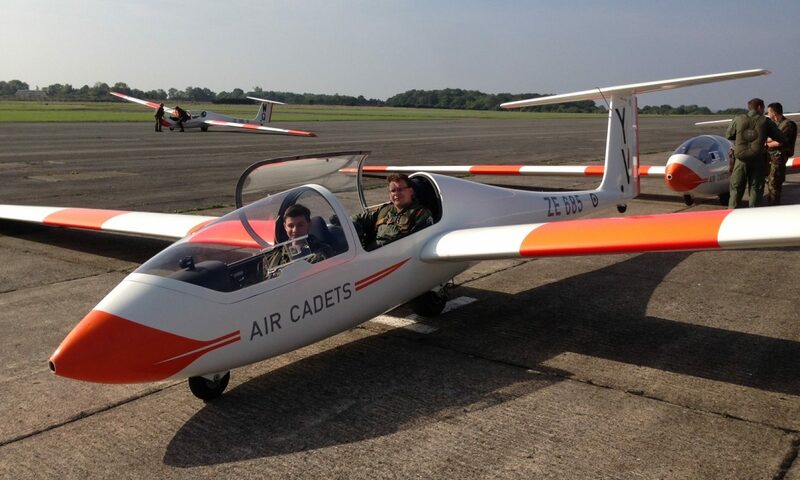 Cpl Harry Chavner and Cdt Ben Hartley attended a weeks gliding course with 614 VGS at Weathersfield Airfield. 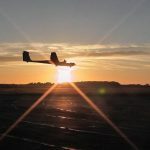 Over the course of the wetest week for months the cadets were trained take control of the glider and achieved over 40 launches and both passed a “ghosted” solo on the Sunday with an award of their Blue Pilots Wings, even with the weather being against them. Cdt Hartley (pictured above in a Viking) said “This was a great course inspite of the weather and I am pleased to have been awarded my wings”. 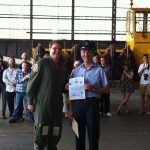 CI Myles Webb, an instructor at 614 as well as on 241, has been awarded his Grade 1 Glider Pilots qualification, enabling him to fly and instruct cadets on the Viking Glider, a impressive achievment which has taken time, comittment and skill. as well as the ability to instruct cadets of various tempraments and skills. Cadets flying at RAF Benson on the Tutor aerobatic trainer had the opportunity to fly with an ex cadet ad member of staff from 241 who is an RAF Hercules Pilot, Flt Lt Pat Mordecai (shown with Cdt Charlotte Cracknell), and assisits in his spare time at 6 AEF. 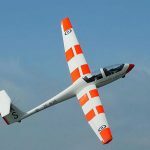 On Saturday 19 May 3 cadets attended Weathersfield Airfield to fly the Viking glider with 614 VGS. With good weather and favourable winds Cdts Muscas, Linning and Shahid all passed their gliding induction course with up to five launches during the day, taking control and learning the principles of how to control a high performance glider in flight, and can now go onto apply for their Gliding Scholarships. 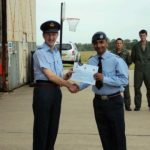 Cdt Hamid also attended a course on the 05 May to fill a slot with another Sqn and also passed his GIC. Cadets fron the Sqn have been glidingin the Viking Glider at Weathersfield Airfield with the cadets were able to make the most of the opportunity to fly and learn the basics of piloting and how to launch and land the Viking Glider, with Cdts Ali, Robson and Manku qualifing for their Gliding Induction Certificates. Cdt Manku said “It was so much fun! I was nervous about the launch at first, but then I found it was the best bit”. 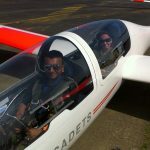 Sgt Akshay Mandalia has gone solo in the Viking Glider (before he can drive) and recieved his Silver Gliding Wings after a weeks course with 614 Volunteer Glding Squadron at Weathersfield Airfield. 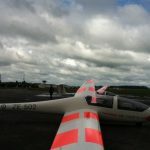 The course was on the Viking Glider which is winch launched, and consisted of around 40 sorties in which Akshay learn to fly the glider and deal with the possible pitfalls and emergencies which can happen to aviators. 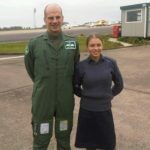 His instructor on the course was CGI Natalie Ali, who is an ex cadet FS on 241 and now a member of staff at 614. 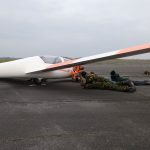 6 Cadets have attended Weathersfield Airfield in the last 2 months to partake in Gliding Induction courses with 614 Volunteer Gliding Squadron, flying the Viking Glider. 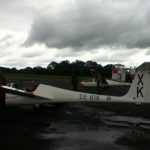 The cadets all got a number of “launches” (the Glider being launched into the air by a mile and a half long cable attached to a powerful winch, attaining a altitude on around 1500 feet above the runway) and where all able to take control of the glider in flight and experience the fundementals of controlling the aircaft. 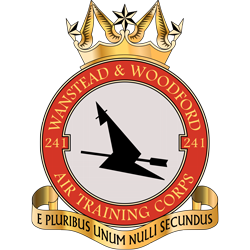 Cpl Thompson and Cadets Brown, Dutney, Hodson, Shaw and Bliss all passed their GIC 2 or 3 syllabus and can now go foward to a Gliding Scholarship when 16. 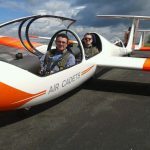 However, they were not the only members of 241 Sqn there as CI Ben Filer and ICpl Myles Webb belong to 614 as a secondary duty, and are learning to be fully fledged Glider Pilots who will be able to teach other cadets to fly.